Let’s imagine you’ve just landed a £10 million jackpot. Nice, right? And no doubt you’ve already started thinking about all the wonderful things you’re likely to spend it on. A cutting-edge car? Travelling the world? Mansions and cocktails? Or perhaps animatronic T-Rexes are more your thing? Whatever the dream, you’ve already made one tiny assumption – that you’ll be hording every dime to yourself. But will this really be the case? 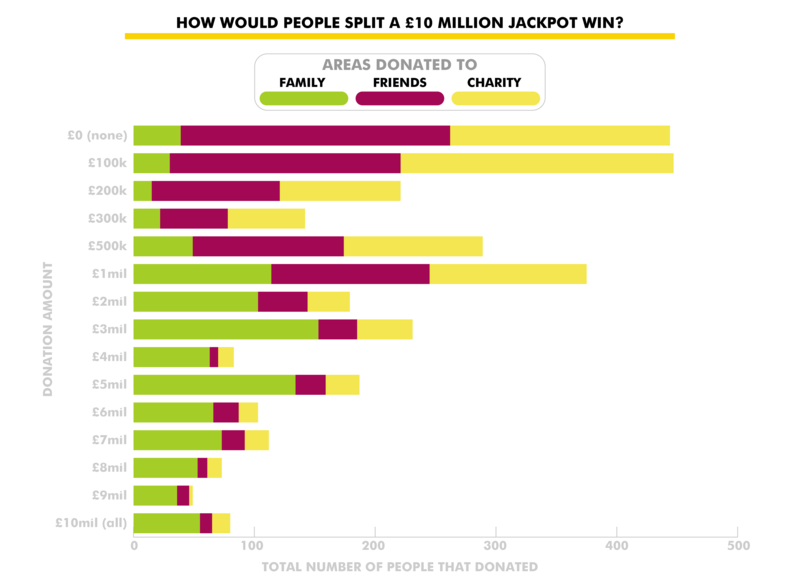 Intrigued, we asked over 1,000 people how they would distribute a £10 million jackpot between the most likely donees: family, friends and charity. Everything that they do not share, they keep. So... when put on the spot, were our fellow Brits generous, frugal, or downright bitter? And what unexpected patterns arose in the data? As you can see, the bulk of respondents agreed that family merited a share between £1 and £5 million, with £3 million being the most popular option. When it came to the decision between friends and charity, friends received a lot less love. 22% of all respondents chose to share absolutely nothing with friends (the most popular option! ), while everyone seemed to agree that £100k was the best cut for charity. 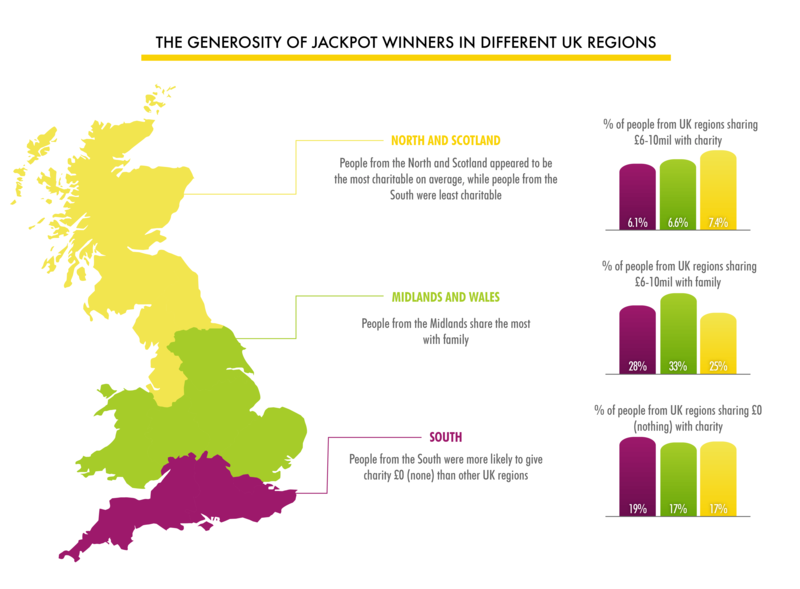 And surprisingly, 15 generous Brits decided to offer up their entire jackpot! Digging into the demographic data further served up many more fascinating titbits. For example, our survey discovered that older people were more generous than the younger generations. Over 55's would share an average of £5 million with family members, compared with the £3 million from 18 to 34 year olds and the £1 million that the 35-54 age group would share. 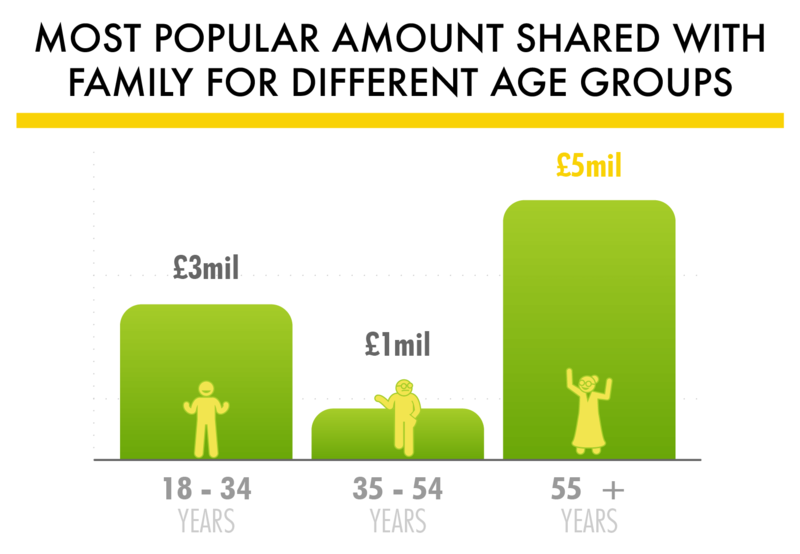 In contrast, the youngest demographic was the most likely to share between £6 and £10 million with their friends. When it came to charitable donations, the 55+ age group was less generous, with 22% saying they they would give nothing to charitable causes. The overwhelming majority chose to keep their sudden wealth a secret, while the remaining few decided to declare it to the world. Of course, these results were largely expected! What wasn’t, however, were the interesting patterns that arose in the demographic data. It appears that as family size increases, so too does the likelihood of going public with winnings. Could it be that people with larger families have a greater sense of security? On the other hand, maybe it’s because people with large families know all too well that keeping secrets is a fruitless endeavour: if your family can’t tell something’s going on from your shifty behaviour, they certainly will when you turn up in a Lamborghini! 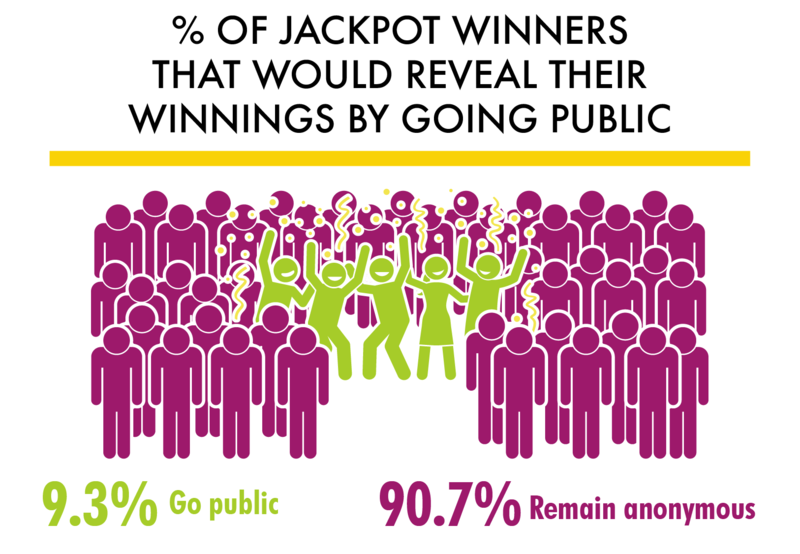 Who Would You Share a Lottery Win With? It also appears that the younger you are, the more likely you are to go public with your winnings. The reason? 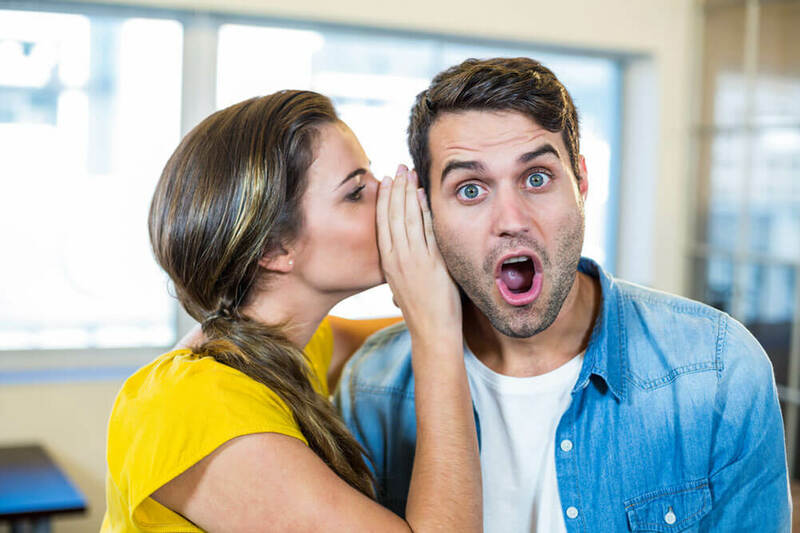 Perhaps the prevalence and importance of social media among young adults is fuelling a “show off” culture – hence, the prospect of letting everyone know you hit it big is more appealing to younger generations! Putting jackpots aside for a moment, it’s possible that the patterns we’ve seen here reflect on the way people of these demographics manage their real-world finances. Are friends the last people on the agenda when dishing out cash? Are the elderly more frugal than younger generations? Are people in larger families more transparent with their wealth? Are millennials and young adults hung up on how wealthy they appear to others? If you hit the jackpot yourself (fingers crossed! ), consider how you’d face the decision.